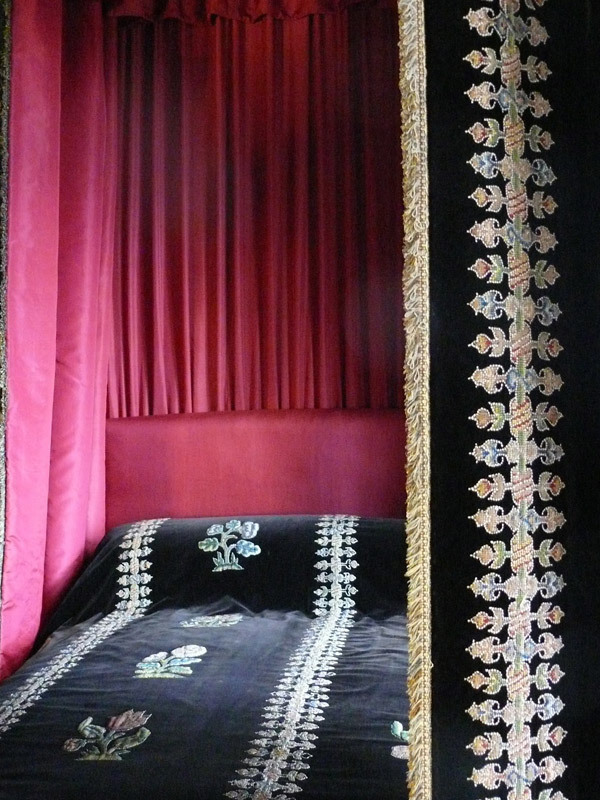 This state bed associated with Mary Queen of Scots was in fact created in the 18th and 19th centuries as an early tourist attraction using 17th century needlework. 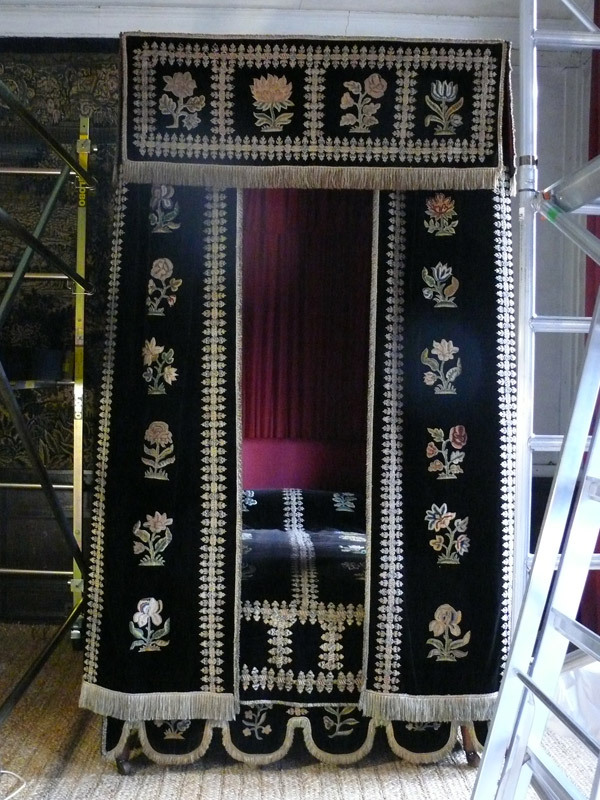 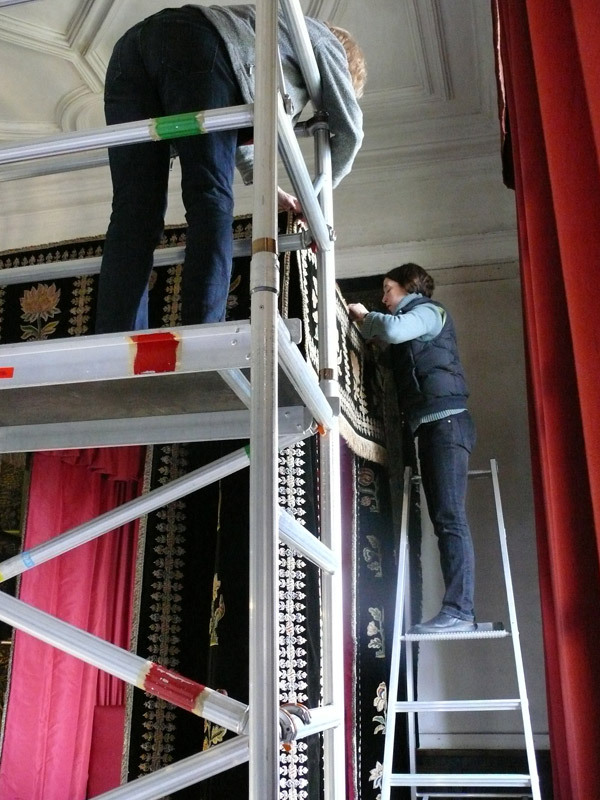 Various alterations and repairs had followed and the black velvet and crimson lined furnishings were now showing signs of wear. 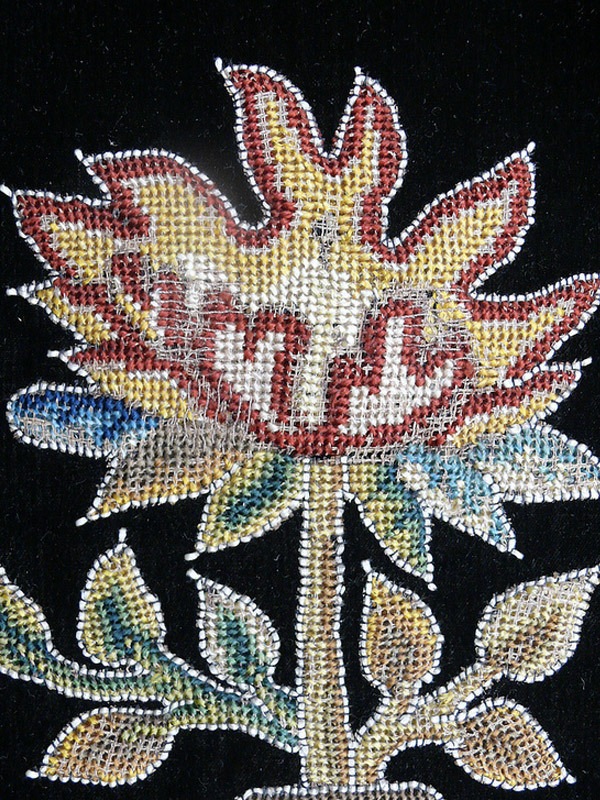 The polychrome applique silk and canvas needlework was light damaged and worn and the silk curtain linings were splitting and vulnerable. 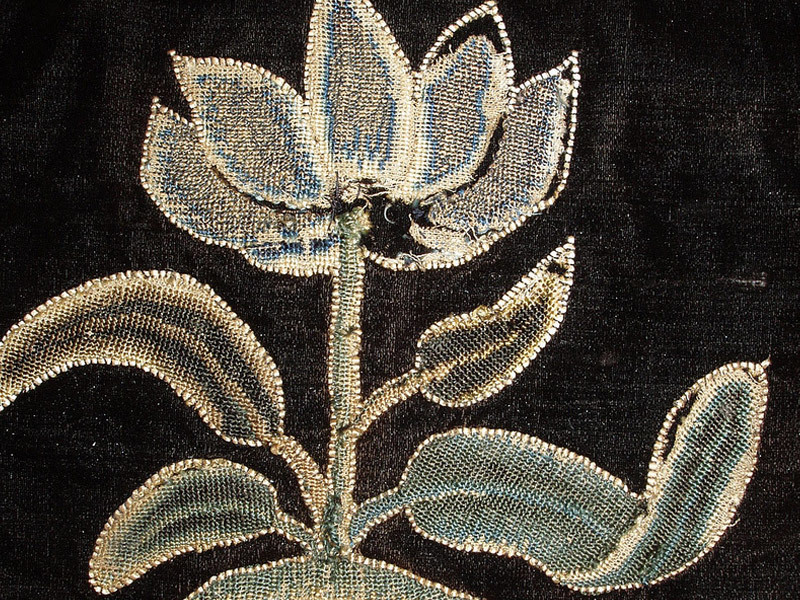 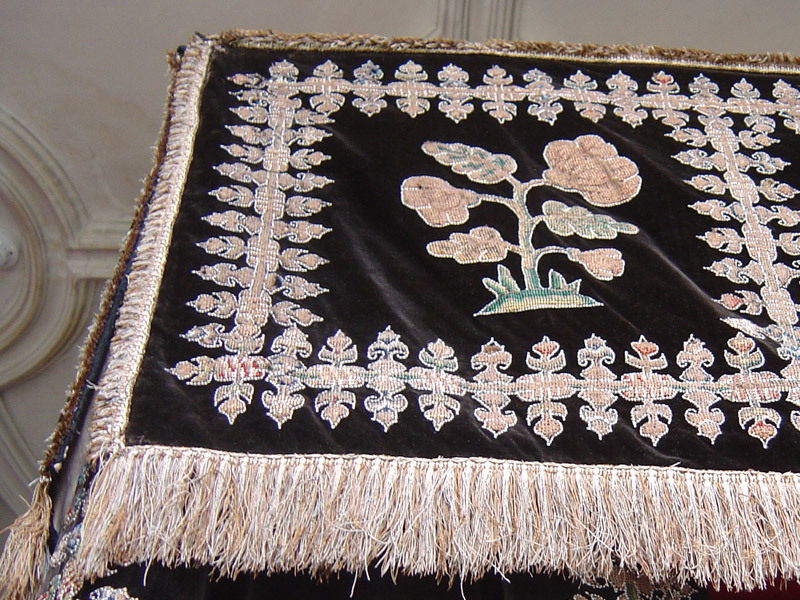 Conservation support stitching was worked through the damaged embroidered motifs and the silk linings were reinforced with dyed silk crepe line. 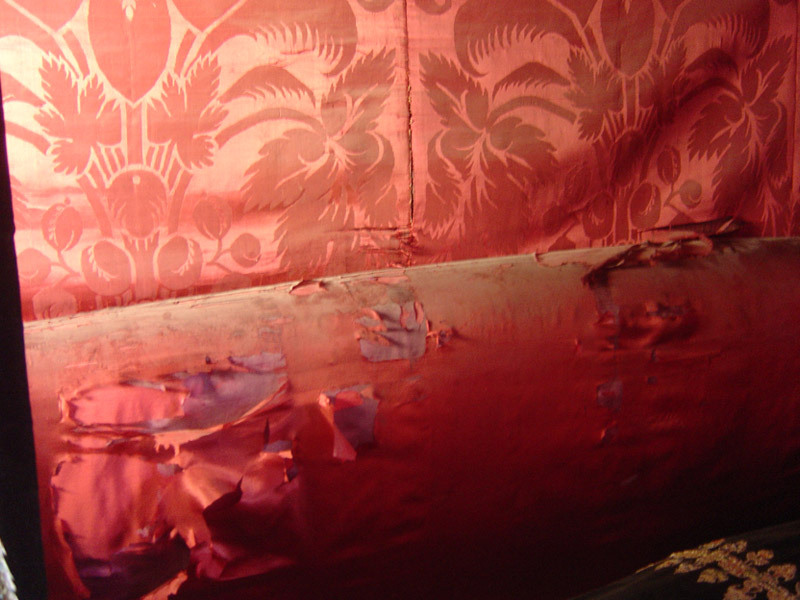 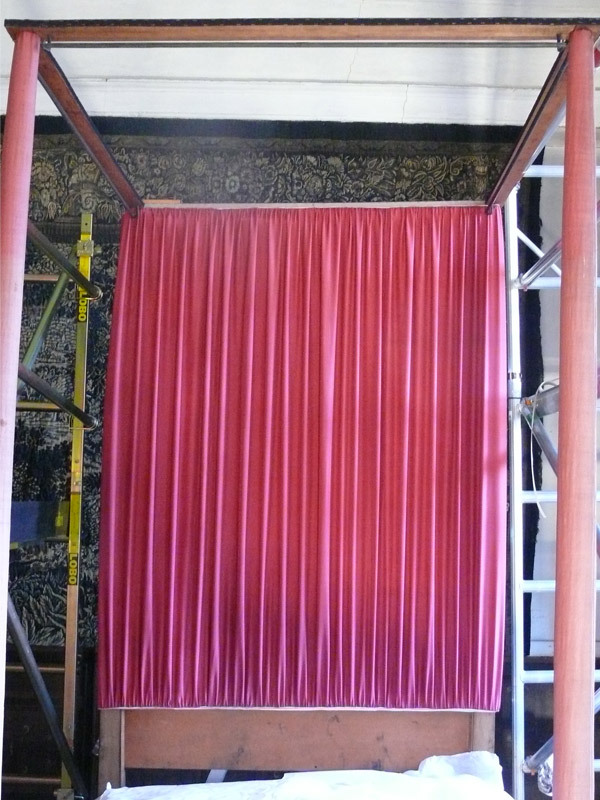 Replacement silk was dyed to match the original silk of the curtain linings and used to used to cover the damaged headboard, create new head and tester cloths and to replace the missing upper inner valances. 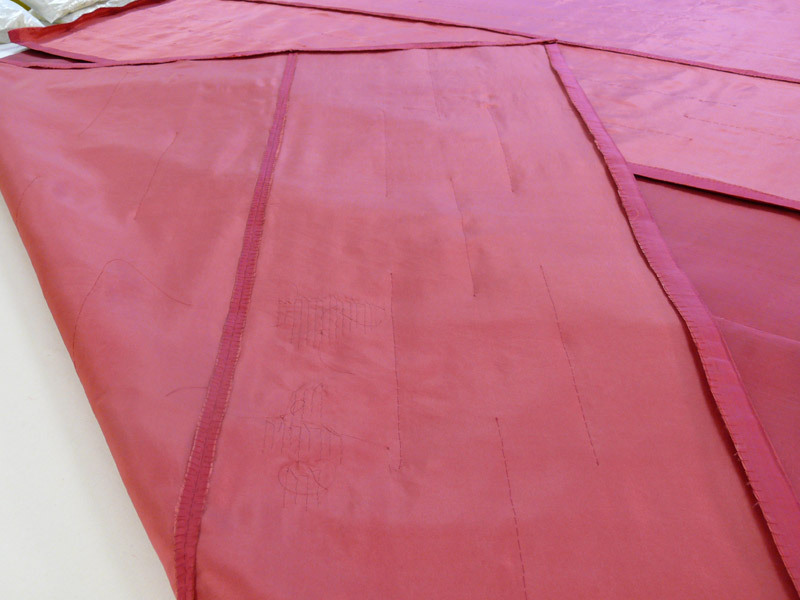 The textile elements of this complex object of many parts was carefully packed up in situ site and worked on in our Brighton studios before being re-instated in 2009. 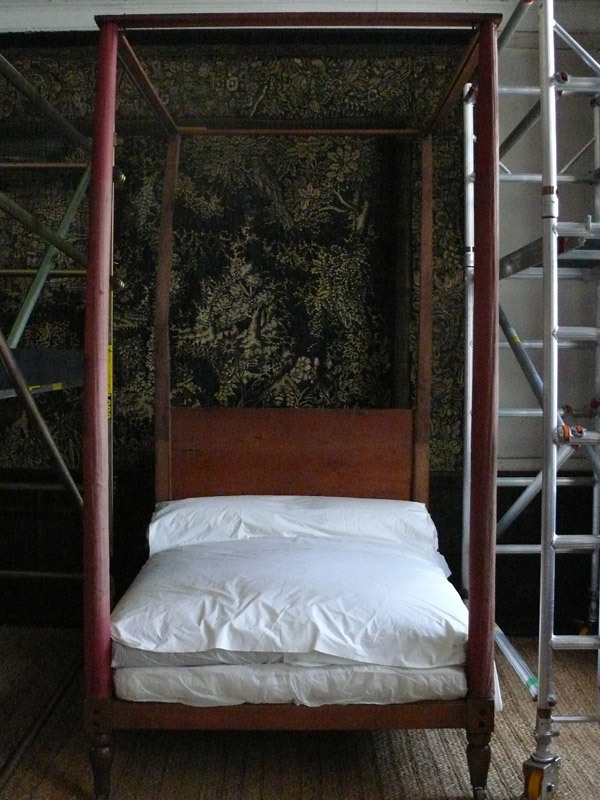 The step-by-step photos show the many phases of re-dressing a state bed. 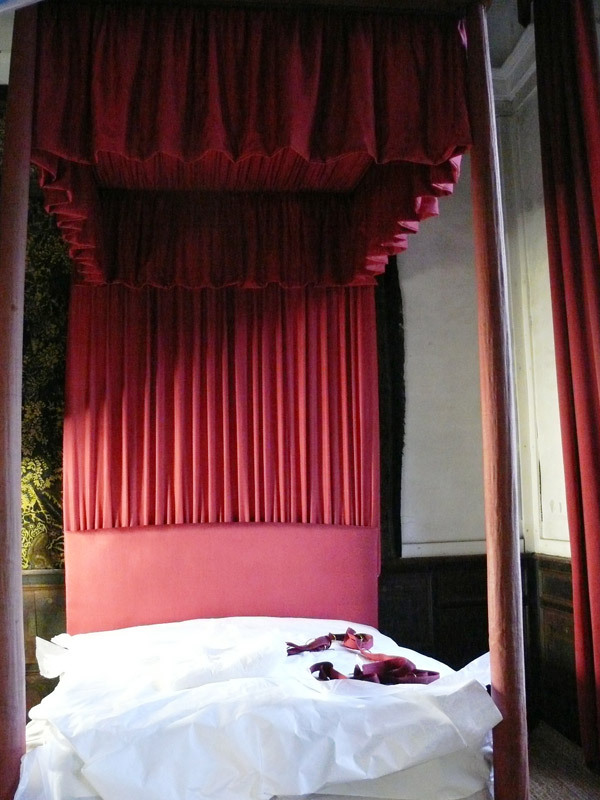 Visitors to the National Trust’s Hardwick Hall in Derbyshire can once again enjoy the splendour of the bed in the Mary Queen of Scots bedchamber.